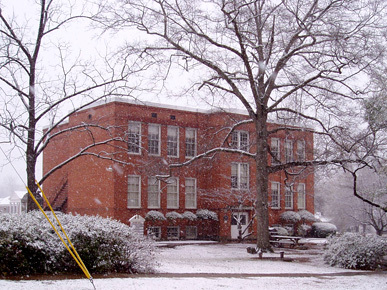 Jeter Hall, home of the University of Montevallo's social science and liberal arts programs, was built in 1915 as a public school for the city of Montevallo. It became part of the university campus in 1965 in a real estate swap with the city. The building is named for Murice Presley Jeter (1873-1953), a Montevallo businessman and education benefactor.